Scenes similar to this (above) could become a thing of the past in Woodhall Spa. 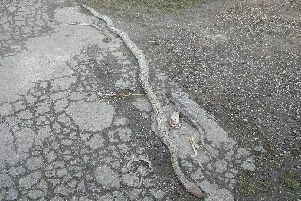 Storms last month led to flooding in the Witham Road area and claims from residents that blocked drains were to blame. After calls from ward county councillor Patricia Bradwell, work was carried out on the drains last Thursday. Coun Bradwell also confirmed work took place on a dyke in Stixwould Road - owned by the Woodland Trust - because it was causing highway drains to ‘back up.’ There is on-going work looking at other areas of the of the village prone to flooding.